This module gives the option of Printing Outstanding with Party wise Total and Contact details. 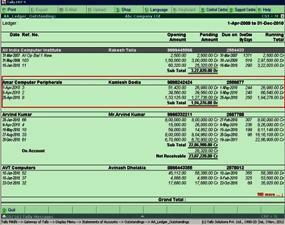 This add-on generates a month wise outstanding report of pending bills. You can toggle the report to show data Bill Date Wise or Due Date Wise. 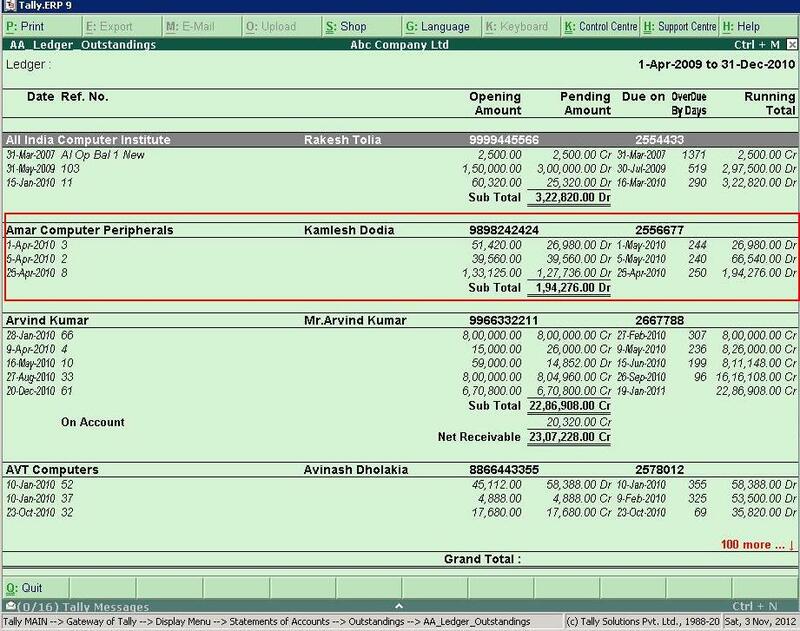 With this Add-on user get facilities to State wise Outstanding Report in Bill wise and Bill party wise report.User can also search state wise (Ctrl + S) report.